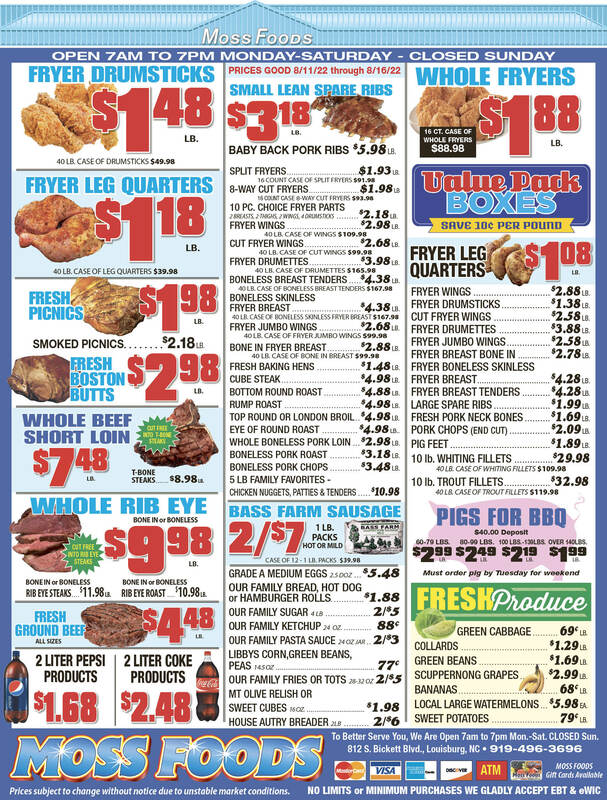 Showing 46 articles from August 20, 2014. FRANKLINTON — Following a long and apparently heated closed session, and prompting from a rowdy crowd, town commissioners agreed to take Franklin County up on its offer to purchase its utility system. During the county’s Aug. 4 meeting, commissioners sent Franklinton a Memorandum of Understanding (MOU), outlining the terms by which they would buy the town’s water and sewer infrastructure. 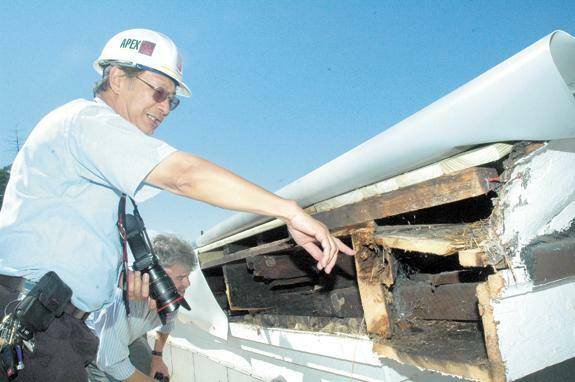 LOUISBURG — As work continues to rehabilitate the courthouse roof and renovate the courthouse, one of its older touches had to go. Or at least be moved. Last Thursday, a Henderson crane service removed a nearly half-ton, 86-year-old bell from the attic space of the courthouse. LOUISBURG — County commissioners welcomed the county’s newest solar farm, but not before making the new venture dress itself up before coming in. Morgan Farm LLC is proposing to build a 25-acre solar farm on just under 60 acres along N.C. 56, north of the intersection of Charlie Morgan Road — between Walter Collins and Firetower roads. LOUISBURG — It was a short but bittersweet meeting for the Louisburg Town Council Monday night when the only item of business on the agenda was bidding a fond farewell to veteran council member Mary Green Johnson. 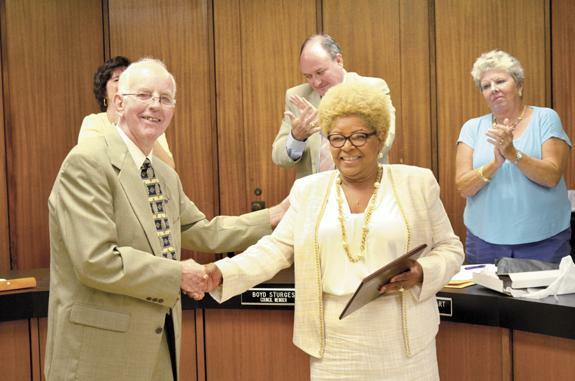 Mayor Karl Pernell presented Johnson a plaque commemorating her nearly 15 years of service on the board. Johnson, in a surprise move last month, gave notice that she was resigning her elected position at the end of August, saying that she was doing so for personal reasons. Old ‘syndrome’ affects children; no cure is in sight! 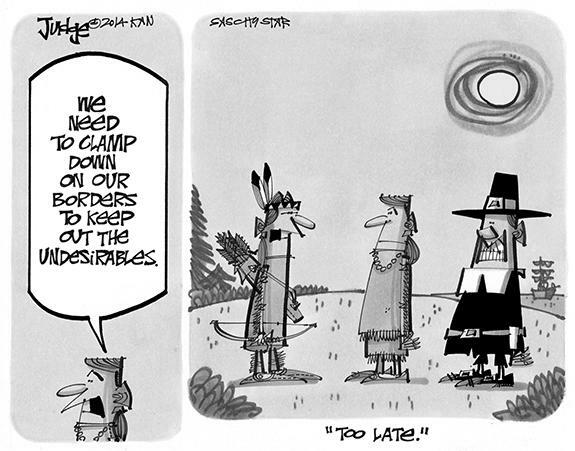 Remember that old childhood “disease” that afflicted most of us, particularly at this time of the year? Around my neighborhood, it was called “Lassie Syndrome” and happened most Sunday evenings, although this coming weekend would have been the worst of the epidemic. In those (olden) days, the TV program Lassie came on Sunday evening and by the time Timmy and Lassie had dealt with that week’s challenge and signed off, it was just about time to finish up the homework and trudge off to bed — head down and depressed! For once, please, let’s get to the bottom of a controversy and settle it once and for all. Franklin County simply cannot stand another long-simmering controversy that drags out for months and ends, not with finality, but with a kind of questionable tranquility that leaves too much unknown. As you know, this county has endured multiple scandals and near scandals over the last few years, one so serious that an elected office holder is still in jail and others that have damaged careers and reputations in addition to leaving a bad taste in the mouths of those who must pay the bills for such shoddy activity. If I did, I wouldn’t necessarily be writing this column. Instead, I’d be sitting on a beach somewhere drinking a colorful drink with a straw in it. The other night, though, I sat inside the Franklinton Town Hall Annex and, essentially, got to witness an incredible turning point for a town. Buy land now, learn why later? Remember this quote from former speaker of the house, Nancy Pelosi, “We have to pass the bill to know what is in it, and get away from the fog of controversy?” My reply is, this makes sense, but not to me. It appears to be the same flawed logic used by Franklin County commissioners to purchase the Bull Creek Golf and Country Club. Apparently it did not make sense to Commissioner Harry Foy either, as he was the only dissenting vote. I had some advice passed down to me a few months back. Basically it was that when an office holder did something incredibly stupid, (like fall asleep in the speaker’s chair on national TV), you have a moral obligation to write about it. There is plenty to write about coming out of Raleigh. Response to your August 14, 2014 news story “Airport manager criticized, supported at meeting”. The leadoff statement in Carey Johnson’s news article is very misleading. There were a total of five tenant/pilots (all five are either pilots or training to be pilots) that spoke, however there were no others to speak. CASTALIA – Bryant Clifton Faulkner Sr., 68, died Thursday morning, Aug. 14, 2014. A graveside service was held Saturday, Aug. 16, in the Pernell family cemetery. LOUISBURG - Funeral services for Malcolm Lee Neal Jr., 68, who died Monday, Aug. 18, 2014, will be held at 3 p.m. Sunday, Aug. 24, at Jones Chapel Baptist Church, with the Rev. Hosie Starr officiating. Burial will follow in the church cemetery. LOUISBURG – Stella Preston Smith, 92, died Tuesday morning, Aug. 19, 2014. A prayer service will be held at 3 p.m. Thursday, Aug. 21, in the chapel of Strickland Funeral Home. The family will receive friends immediately following the service. Burial will be held in Pine Grove Cemetery in Fillmore, N. Y.
BUNN – Vivian Adcock Horton, 91, died Saturday afternoon, Aug. 16, 2014. Funeral service was held Tuesday, Aug. 19, at Strickland Funeral Home in Louisburg. Burial followed in New Hope Christian Church cemetery. CONTINUING THE FAMILY TRADITION. Franklinton freshman standout Ricky Person, Jr., seems destined to follow the successful football footsteps of his father, Ricky. The eldest Person prepped at Louisburg High School. WAKE FOREST - Franklinton has the skill position pieces -- it’s just a matter of getting them in the right places on the field. That’s the assessment from FHS head coach Jeremy Buck as his Red Rams prepare for their regular season football opener this Friday on the road at Goldsboro. A starting quarterback battle still has Buck unsure how his offensive lineup will be for the opening showdown. CALDWELL’S QUEST. Bunn High School’s Devante Caldwell (with ball) picks up yardage against East Chapel Hill as part of last Friday’s Tar River Rumble Football Jamboree at Granville Central. 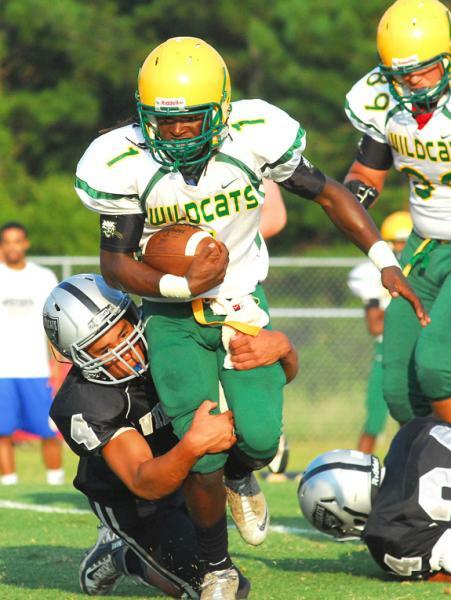 STEM -- Many area experts have pencilled in the Bunn Wildcats as the preseason favorites to win the Northern Carolina Conference football championship. Certainly, there is plenty of good reason for that as the Wildcats are loaded along the offensive and defensive fronts -- and have a slew of options at the skill positions. MALIK’S MAGIC. 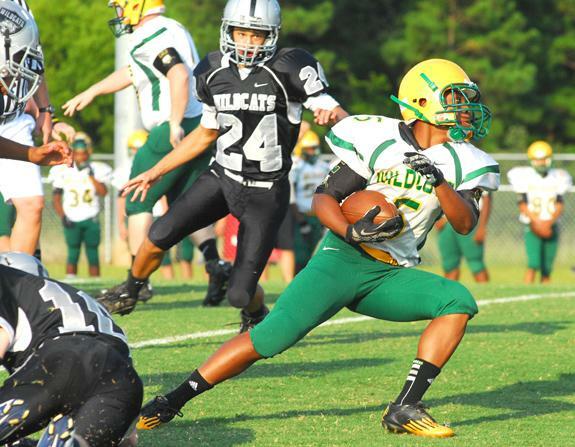 Quarterback Malik Sidibeh escapes a Ravenscroft defender during last Friday’s Tar River Rumble Football Jamboree in Stem. LOUISBURG -- Louisburg High School hasn’t had to look too far to find a comparable offense to prepare for its regular season football opener this Friday at North Johnston. Just like the Warriors, NJ will be running the wing-T this fall under new coach Ashley Ennis. That gives Louisburg a preparation boost but, of course, the same thing could be said for the Panthers. 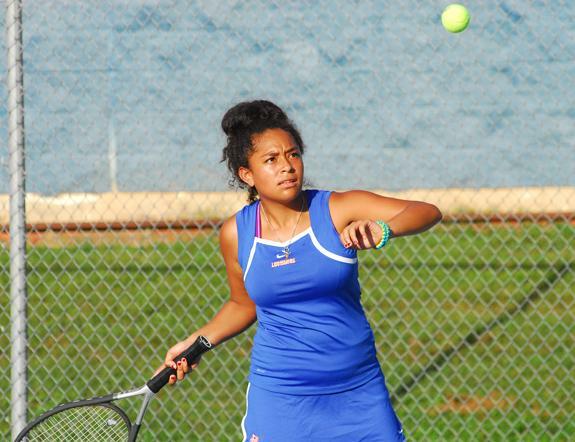 LOUISBURG -- With four of its top five performers returning, optimism is high this fall within the Louisburg High School girls tennis program -- and with good reason. Louisburg went undefeated in the Tar-Roanoke Athletic Conference last fall and reached the second round of the Class 2-A State Playoffs under veteran skipper Johnathan Waugh. THIS IS HOW WE DO IT. 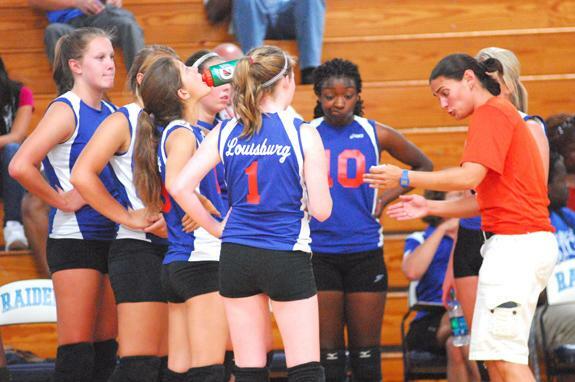 Louisburg High School veteran volleyball coach Erica Wammock (right) explains a technique to her team during Monday evening’s season-opening victory on the road against the Southern Vance Runnin’ Raiders in Henderson. HENDERSON -- Louisburg’s regular season volleyball opener at Southern Vance was delayed at least 30 minutes Monday due to a tornado warning in the area. 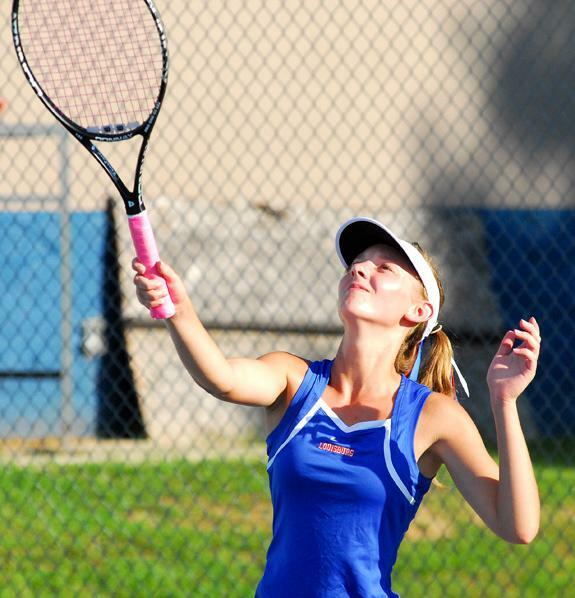 But once the match started, the Lady Warriors stormed out to a quick lead -- and never relented. Taking on a Final Four squad from last year’s Class 2-A State Playoffs, Louisburg rolled to a convincing three-game sweep. Bunn at North Johnston 7 p.m.
Louisburg at Franklinton 7:30 p.m.
LOUISBURG — This coming Wednesday, folks will get a chance to golf ‘til they drop — if they so choose. 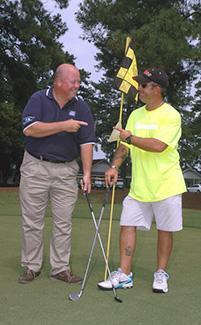 The United Way of Franklin County is hosting its first, Longest Day in Golf fundraiser. For $50, participants can golf all day, half a day or play as many holes as they would like at The River Golf and Country Club. MISSOULA, MONTANA -- Louisburg native Tyler Bolton continued his strong first season as a professional by working seven innings on the mound for the Missoula Osprey during a 4-0 victory over Helena in Class A Pioneer League baseball action earlier this month. Bolton struck out two and allowed just two hits to go with zero walks. BACK ON THE TRACK AT BHS. Bunn native Marisa Bellamy worked hard this summer at the Bunn High School track in preparation for her upcoming season at the University of South Carolina. Bunn native Marisa Bellamy, regarded as one of the top track and field athletes in Franklin County history, is entering her redshirt sophomore season as a member of the team at the University of South Carolina. She is working in mid-range sprints for the Gamecocks, who compete in the Southeastern Conference. 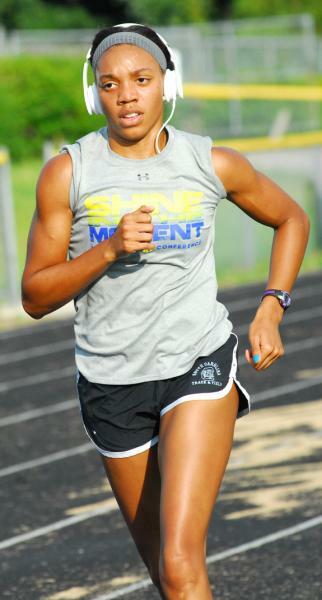 Bellamy has been at home working out recently at the Bunn High School Track. FRANKLINTON’S FAB FOUR. 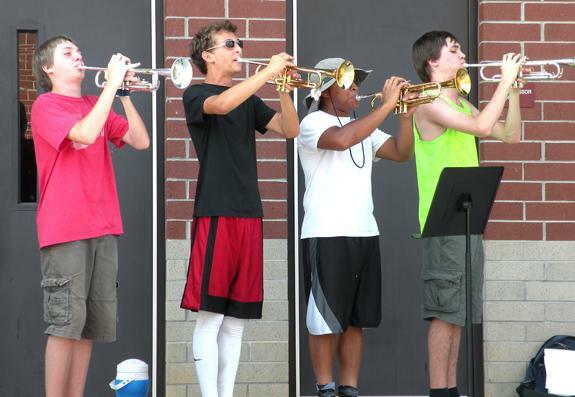 (L to R) Patrick Polmacheck, Ryan Fritz, Andy Anderson and Jake Polmacheck practice their trumpet work during Franklinton High School’s annual Band Camp. FRANKLINTON -- Football players aren’t the only students working hard to prepare for the start of the high school football campaign. Franklin County’s bands have been busy in August getting ready for Friday night’s opener -- including the squad at Franklinton High School. ZEBULON -- Ryan Merritt weaved seven masterful innings and the Carolina Mudcats rolled over the Frederick Keys 6-2 on Tuesday night at Five County Stadium in a Class A Carolina League baseball showdown. The Mudcats (26-30, 55-68) snapped an eight-game losing streak at home and picked up their 11th win over the Keys (25-30, 57-65) this summer. RALEIGH -- Kyle Prairie, Vice President of Ticket Sales for the National Hockey League’s Carolina Hurricanes, has announced the team’s mini-season ticket plans for the 2014-15 season. Mini-season ticket plan-holders can opt for a 26-game plan, or choose between three different 12-game plans. FRANKLINTON -- Crystal Barnes hasn’t been Franklinton’s volleyball coach for the past decade, but the feeling of winning never gets old. Barnes, who has returned to FHS for the second time around, saw her team open the 2014 campaign on Tuesday with an impressive home triumph against the Northern Vance Lady Vikings. 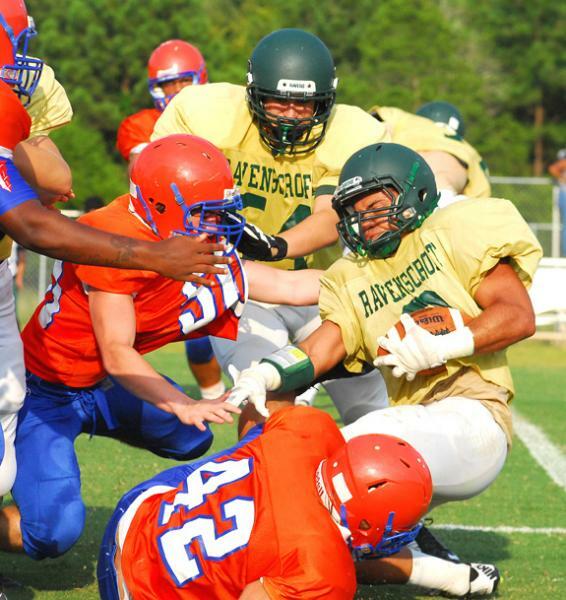 (Top) Three Bunn defenders team up to make a tackle; (bottom) Bunn’s Bruce Adams reverses his field as part of the Wildcats’ segment with East Chapel Hill at the Tar River Rumble Football Jamboree. 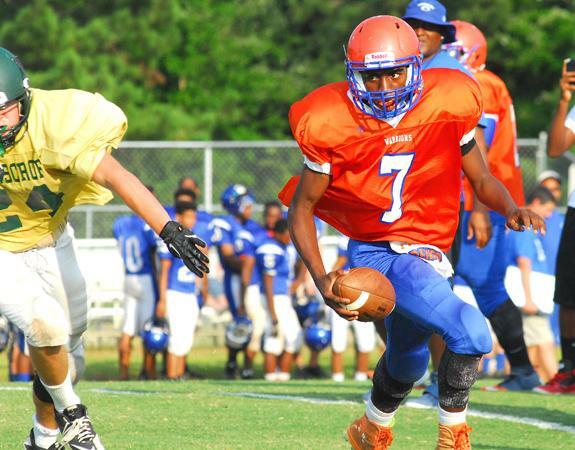 The scrimmage was held last Friday night on the campus of Granville Central HS in Stem. 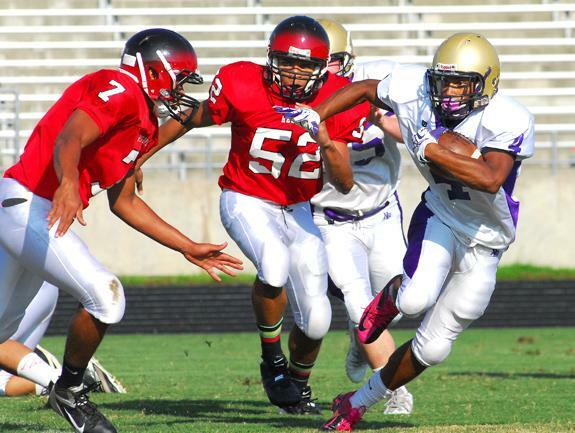 (L to R) Franklinton’s Yush Smith and Syvion Smith chase down a Broughton back during last Wednesday’s action at the Heritage Football Jamboree in Wake Forest. 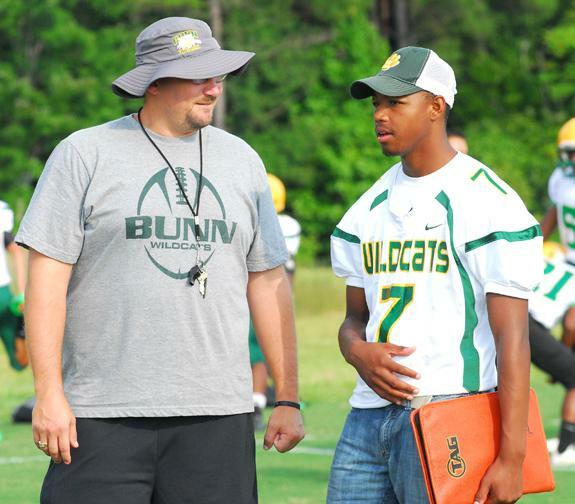 Even though Bunn High School quarterback Quenten Wright is currently out with an injury, he still wants to be part of the team -- and he was on the sideline last Friday night as the Wildcats took part in the Tar River Rumble Football Jamboree at Granville Central HS in Stem. Wright, who started behind center last season as a freshman, is out with a collarbone injury. He is shown with BHS assistant coach Chris Lewis. 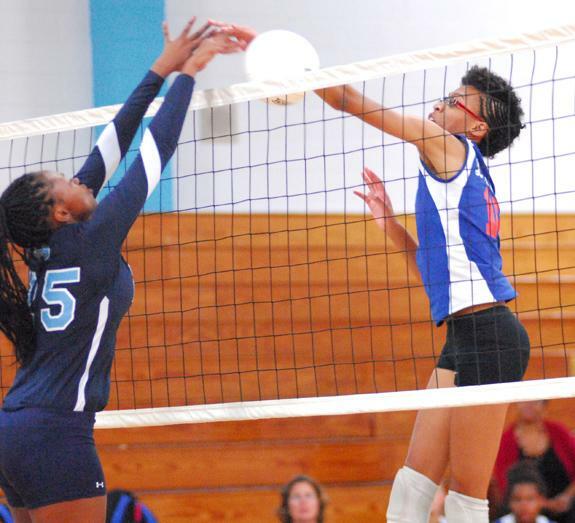 Louisburg’s Vanisha Wilshire (right) tries to elevate for a point during her team’s road contest on Monday evening against the Southern Vance Runnin’ Raiders in Henderson. 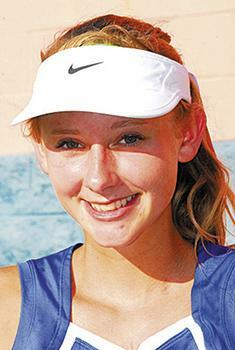 Look for Catie Strickland and the Louisburg Lady Warriors to have another solid girls tennis campaign this fall. Louisburg was the winner of the Tar-Roanoke Athletic Conference Championship in 2013 and returns four Top-Six performers from that squad. Louisburg opened Tuesday with a loss to Franklin Academy. Tickets are on sale for Louisburg College’s 57th Allen de Hart Concert Series, which will feature a wide variety of performances ranging from classic pop and soul hits to comedy and beach music. This season also marks the 25th anniversary of the Seby B. Jones Performing Arts Center (JPAC), a venue of choice for world-renowned artists, as well as a host for Franklin County commencements and various community events throughout the year. It would cost too much to repair the old courthouse in Louisburg. That was the conclusion of commissioners appointed in December 1848 by the Franklin County Court of Pleas and Quarter Sessions to determine how best to provide a proper facility for the transaction of the people’s business. 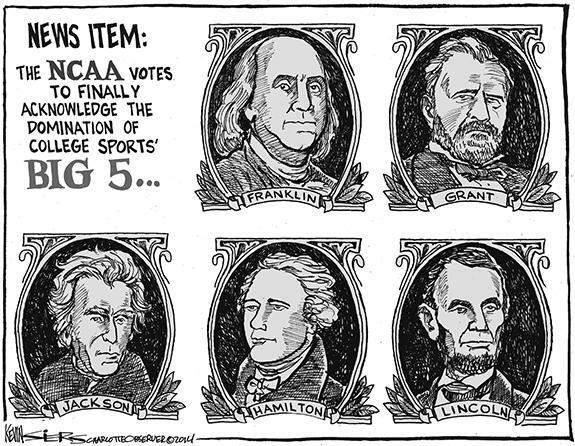 Seven men — Jones Cook, Joseph B. Littlejohn, A.H. Davis, A.C. Perry, Nicholas B. Massenburg, Isaac Winston, and Daniel S. Hill — accepted this responsibility. INCOMING. 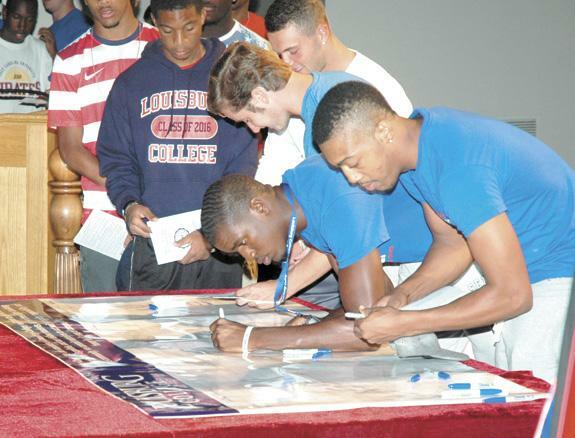 Above, Louisburg College freshmen sign the school’s Honor Code during an induction ceremony at the two-year school on Monday afternoon. Parents, staff and administrators welcomed 435 new students — the largest freshman class in over a decade — to the Louisburg campus. Also, the class has the highest average GPA in over a decade, the largest number of merit scholars in over a decade and the first valedictorian among the entering class. Jordan M. Page, daughter of Jack and Karen Page, who live in Youngsville, participated in the traditional “White Coat Ceremony” at North Carolina State University’s College of Veterinary Medicine on Aug. 9. The annual event signifies acceptance into the competitive four year academic program leading to a Doctor of Veterinary Medicine degree. Ready for a local roast? KITTRELL — Economics and a lot of other factors have caused grist mills to grind to a halt, leaving few of the historical structures to survive. 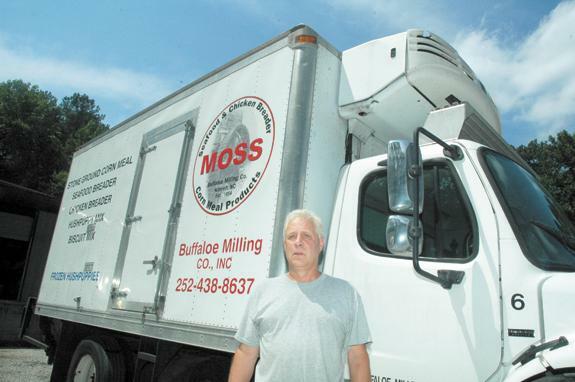 Buffaloe Milling Company is one of those survivors. Founded in 1854, it began like many other gristmills in North Carolina did; it was a necessity for local settlers. People of the community would bring their corn to the mill to be ground into corn meal. YOUNGSVILLE — Sheriff’s deputies arrested a Youngsville man days after he bolted from a hospital to avoid hit-and-run charges associated with a three-vehicle accident. 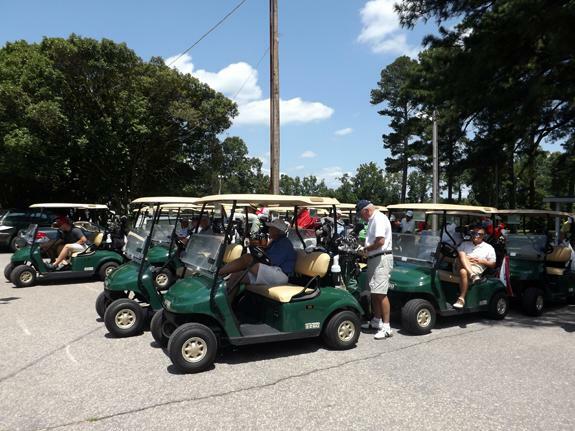 Safe Space Inc. held its 13th Annual Golf Tournament on July 25 at the Green Hill Club. All proceeds from the tournament go to support the services of Safe Space Inc., a domestic violence services organization. This year’s winning team was the Scott May Team; second place team was the Austin Murray Team and the Bob Elliott Team came in third. The players enjoyed lunch donated by Cook Shack Catering. FAYETTEVILLE — An alumnus of Louisburg College was presented with one of the state’s most prestigious honors. 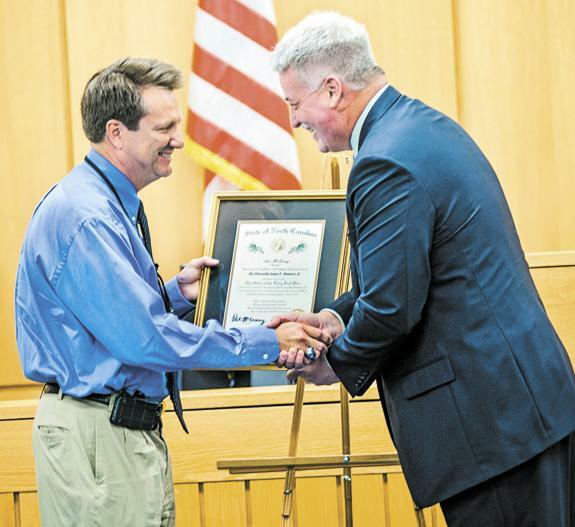 Judge James F. Ammons Jr. received the Order of the Long Leaf Pine during a recent ceremony. Ammons graduated from Louisburg College in 1975. He is currently a chief superior court judge for Cumberland County. Navy Seaman Recruit John T. Dickerson II, son of John T. Dickerson Sr. and grandson of Rebecca E. Dickerson of Franklinton, and Bambi A. Lloyd of Henderson, recently completed U.S. Navy basic training at Recruit Training Command, Great Lakes, Ill.